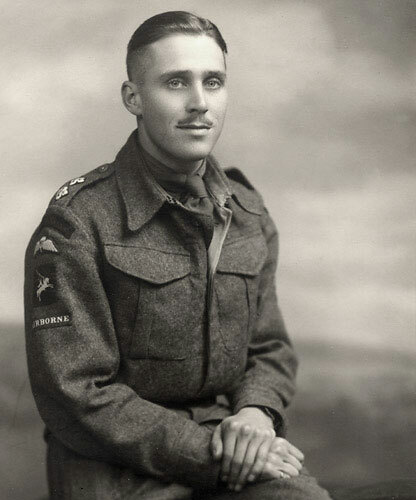 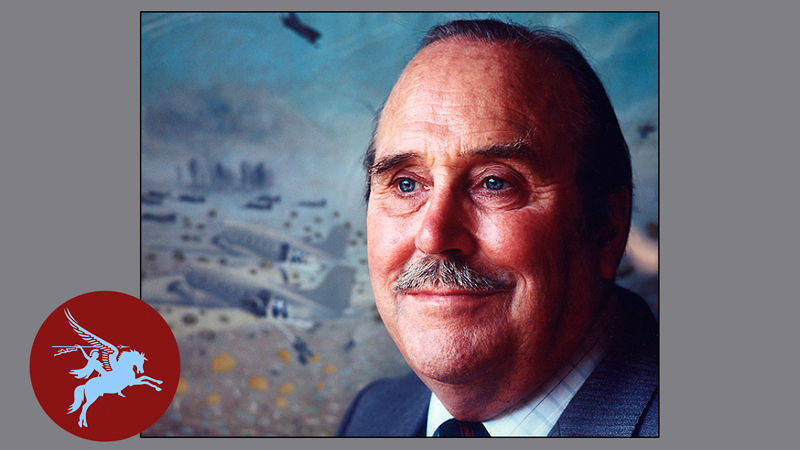 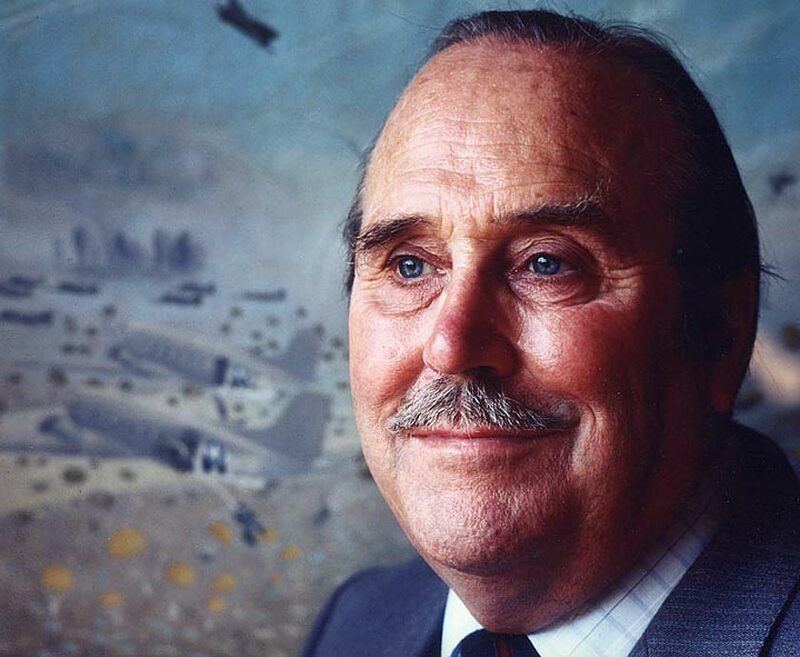 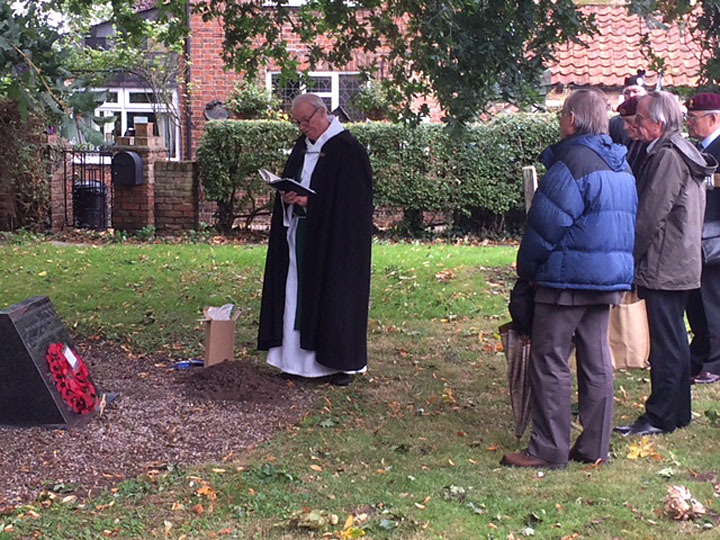 Peter’s ashes were laid to rest under ‘The Arnhem Oak’* at the church of St. Mary and The Holy Rood, Donington, Lincs, on Sunday, 23rd September 2018, on the occasion of the annual 1st Para Squadron Reunion, 74 years after the Battle of Arnhem. 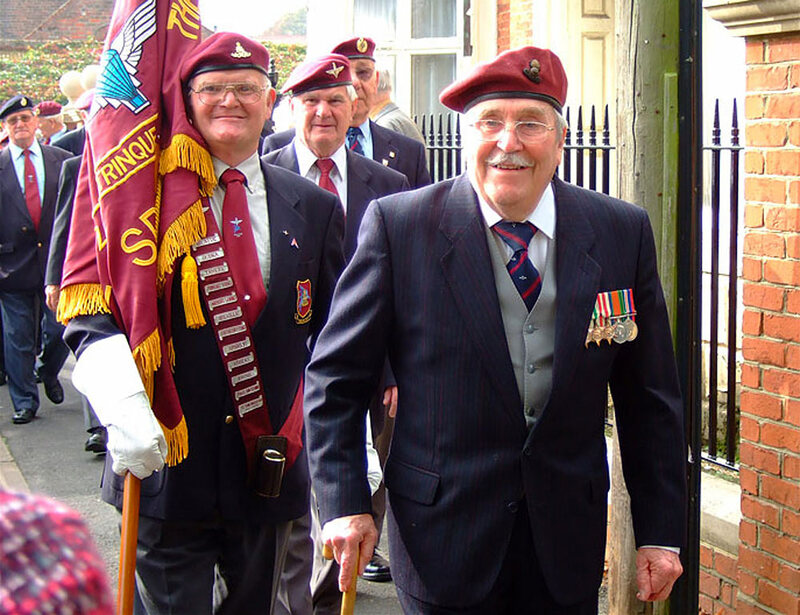 The proceedings were conducted by Rev Charles Robertson. 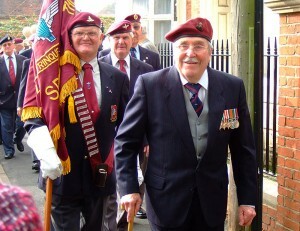 Gordon, John, and Col. Chris Davies (who organises the Donington reunion each year) can be seen on the right. appeared in the local paper, Spalding Today, 01 October 2018. 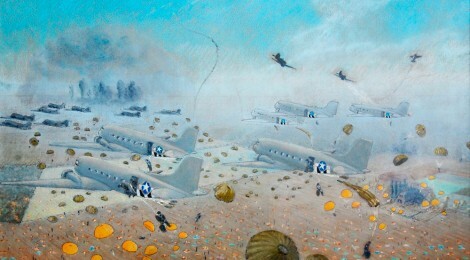 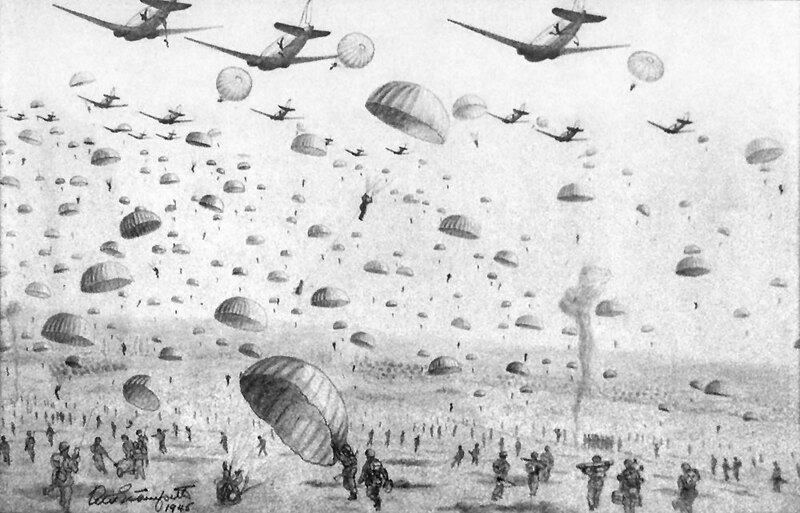 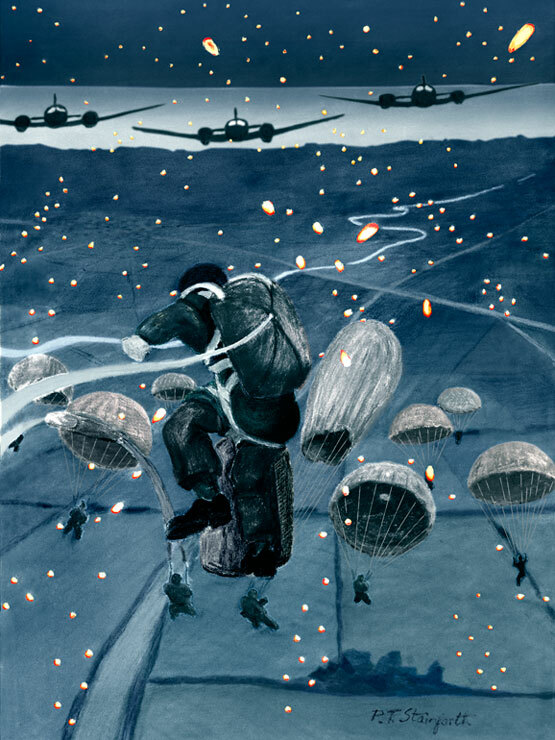 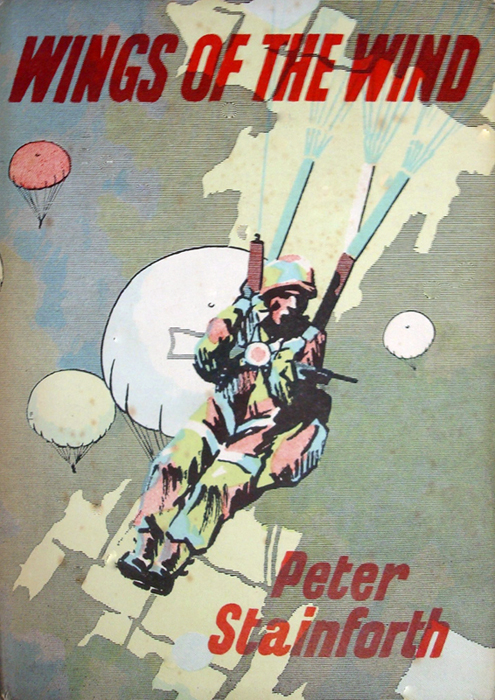 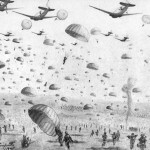 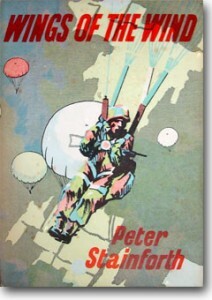 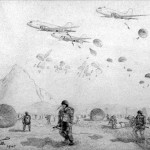 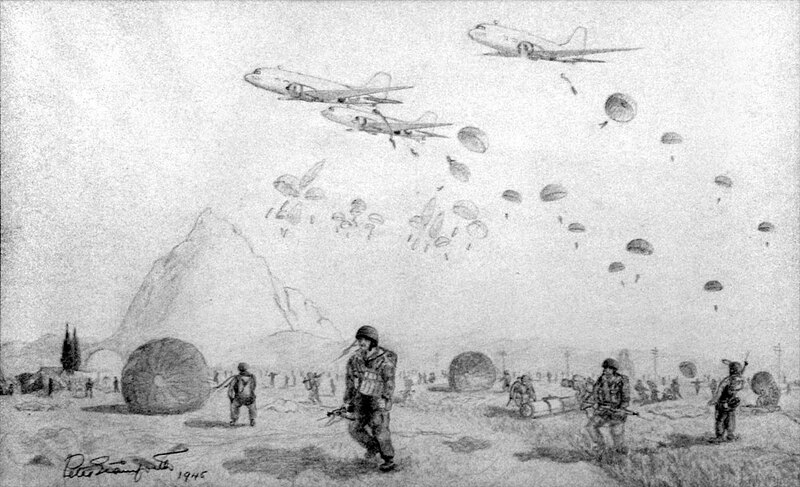 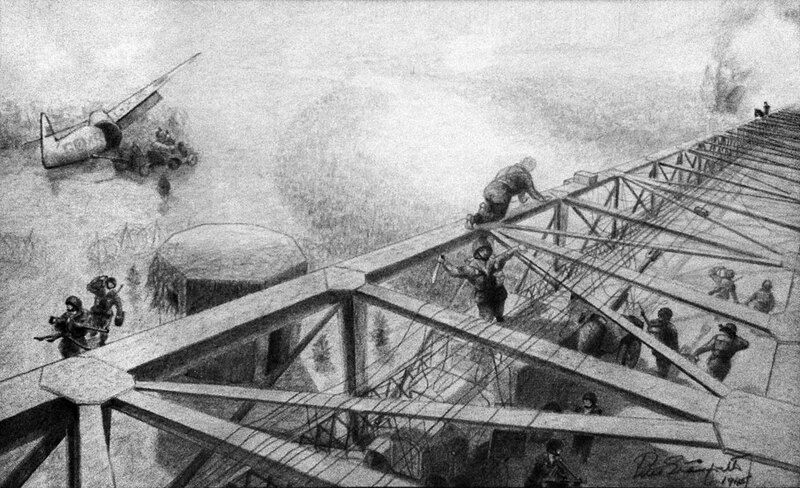 Throughout the war Peter Stainforth had a sketchbook with him, and later made this remarkable pastel drawing of the First Parachute Brigade landing on Renkum Heath, near Arnhem, in the first wave of Operation Market Garden on 17th September 1944. 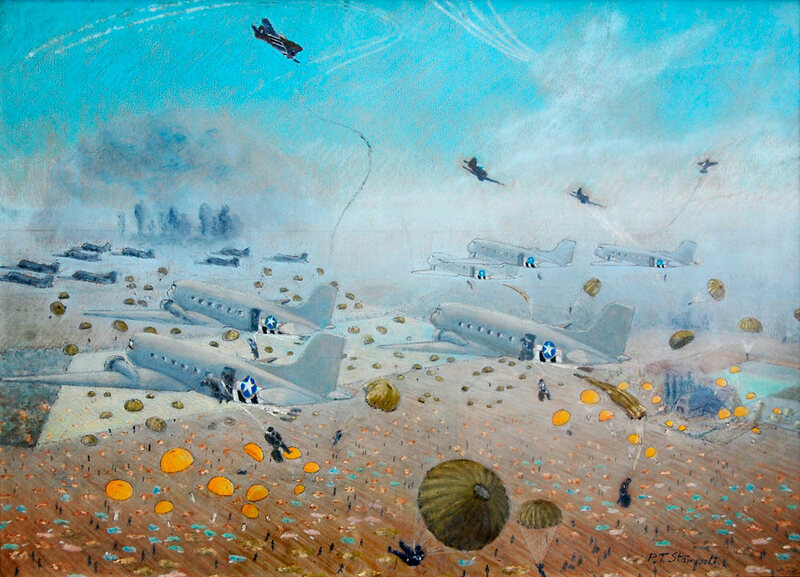 ‘Flak and Silk, Sicily, July 1943’, from an original pastel drawing by Peter Stainforth, 1946. 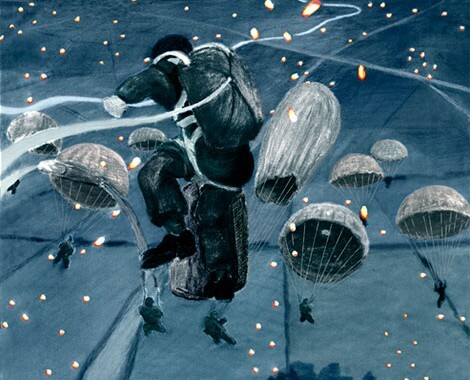 Detail from Dad’s vivid picture of jumping in the night in Sicily in 1943. 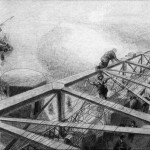 Click image for the full extraordinary original.